The Pinkprint, carrying the same name as Minaj's latest album offering to her fans. The box has the same front cover as the album "The Pinkprint" which some may say isn't really creative, I would say least you know your be able to spot the perfume in the shop and relate it to which i find a clever marketing ploy! The back of the box has miss Minaj striking a pose with a preview of the bottle inside. Anyone who has purchased a scent by Nicki will know her scents have a characterchure with the bottle being the body and the spray head cover being a figurine head with different coloured hair. I like this aspect from Nicki's scent range. I think it adds an element of fun and uniqueness that sets itself apart from others in the scent market. Bergamot, Pink Grape fruit, Passion fruit. First off, this is completely different to any other Nicki Minaj scent in her range. It certainly is unique in the sense you cant categorise it straight away like her previous scents with the labels, sweet or musky. The Pinkprint possesses a talent that takes you on a journey when this scent transitions through its wonderful stages as its merges notes together effortlessly. On first spray you do get the sweetness of a mixture of passion fruit, orange blossom and hints of roses, then the scent transitions into a lightly sweet floral with some added coconut and musk, whilst the warm patchouli adds the depth to this scent. You do get a nice clean scent with interesting notes and The Pinkprint doesn't feel a heavy scent which is great as you don't want to be wearing a headache inducing cloying scent, to ruin your day. 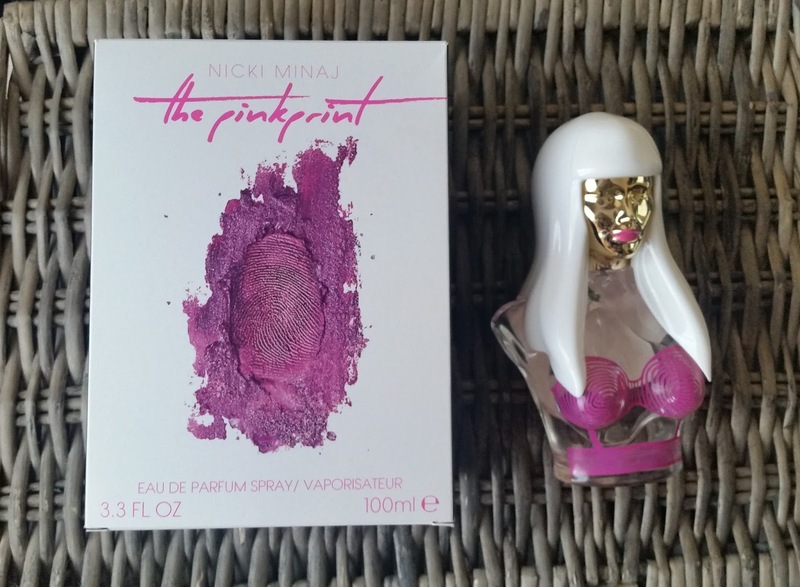 What is also great is this scent lasts, i have even smelt The Pinkprint the next day from my coat! "The Pinkprint". Well done miss Minaj. X Neil.